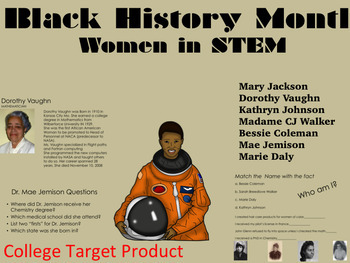 Excellent product showcasing Black women in STEM. 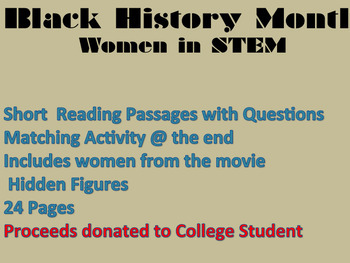 Product includes the three women from Hidden Figures. There are short passages with questions & a Matching Activity. Use this product as as a supplement for Black History in order to highlight women who played major roles in American History. This product can also be used during March for National Women's month.